My favorite place to find craft inspiration is nature. I love the distinct colors of the seasons. If my palate is blah I’ll take a walk and that always opens my mind to new possibilities. I love the website Craftster.org. Mmmm. Maybe a better question is where don’t I find inspiration. It seems to be all around me. But my most loved place to find inspiration is when I’m with my friends. As a retired person, I’m with my friends several times weekly. Craft ideas there come with stories. Sometimes friends will ask me to share what I am crafting and I become their inspiration. Excellent bonuses all around. My favorite place to find inspiration comes from my family. They love being on the receiving end of my projects. I love to craft, crochet, make jewelry, sew everything from clothes to toys, bake cakes and cookies and creating on 1 of my 4 Cricut machines. I have been passing this art on to my grandchildren as we have craft classes during the summer. I hope to keep the art of crafting alive ling after I am gone. From my pets and nature the most… they inspire me to create things related to them. I have alpacas and am currently letting my soap cure to felt it. I’ve made jewelry with alpacas, horses, flowers, etc. I have been making porch signs with barns, horses and flowers recently too. It all so much fun! I always pay attention to color. Color is so important to me with my crafting. I love mixing patterns and solids with glitter. I try to pay attention to all the simple things even down to how a person puts their clothes together gives me inspiration. I get most of my inspiration from the very creative and generous people who post on the internet. My inspiration comes from many places. First an foremost is my heart and the mood I am in at the moment. Then comes galleries from many different sources, I browse through and see what catches my eye. Sometimes it is the color or maybe the design. It can be style, cut or maybe it can be childlike or soft and feminine. So you see inspiring ideas for me can go in many different directions. Thank you. In my mind, ideas abound! Friends and classes. Both create more and more fantastic projects. Ideas swirl around me like the wind! Children inspire me, but when I can I go to Pinterest where the published works of others can inspire me to go to even better heights! Instagram! I love seeing what others create. Online – blogs, pinterest, google. It is always a good place to start! In my crafting room at home! I find inspiration in nature – the woods, the beach, local parks. I also find a lot of inspiration online, within Instagram and Pinterest! I love books. Some may say I have too many! There’s SO many places! 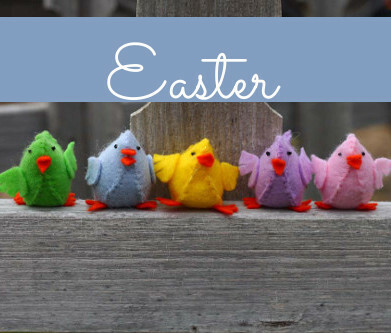 Pinterest, FB, crafty blogs, THIS SITE!, and friends! Pinterest and Ravelry are probably my top two places. Color is what most inspires me. I see inspirational color combinations on a daily basis from nature, magazines and the internet.To organize everything, I created an “inspiration” folder on my laptop. In it, are COLORS; TEXTURE; and STYLE sub folders. Each is filled with photos that I instantly reacted to… when I first saw them. The COLORS folder holds rich color combinations seen on a printed bedspread or fabric; the glorious colors of a sunset that are so striking behind the dark shadow of a lanky palm tree; dark gray clouds rolling across a bright blue sky over a lush green meadow on a stormy summer day; or a brightly colored front door welcoming guests into a neutral colored house. The TEXTURE folder may have a richly beaded bag or bracelet, an intricately woven textural basket; the ornate architectural shape of an older home, or a spectacular patchwork quilt. These first 2 folders will help one define his or her own STYLE….that inner compass that gently pulls us toward our comfort zone, centering us and making us feel “at home” no matter where we are in the world. Inspiration is EVERYWHERE…just keep your eyes open and IT will FIND YOU! Inspiration from nature. Observing wild life. A walk in my back yard, listening to the sounds and seeing the colors. A variety of craft sites. Ive taught crafts, cardmaking, always inspiring to share. Pinterest has got to be my favorite spot for inspiration. Everywhere I just like to create. Pinterest is my favorite, with all the articles, videos, and encouraging members! If I am really stuck for ideas, I will check Pinterest. If I need a palette, I look out my window. I can find inspiration just about anywhere. Nature, people, buildings, and the art of other people often gives me ideas. Just thinking of the occasion and the person who will receive my gift prompts my best inspiration. Also receiving my order gets my creative juices going. Everywhere! I find inspiration in everything from the beauty of nature to the texture of an object or the way that shadows fall I will see designs. Sashiko and embroidery, it is portable and soothing to do. I enjoy being in my recliner best, when everybody has gone to bed. It is my quiet time for myself. Either in my room, on the computer, from my siblings, or from my customers. I sell handmade stuffed animals at my business “Millward Miniatures” which is on Facebook. My favourite place forum inspiration is back Pinterest,craft site and nature. Out in God’s world I find more inspiration than I have hours in the day to craft. Just retiring and moving back to the quiet solitude of country living daily reminds me of all the inspiration God has placed around us in his world of nature from color to texture and beyond. Inspirations usually find me before I start looking. Once a picture forms in my head, I look for other pictures on the Internet, trying to match it. I’ll look at several sites, gathering ideas before settling on means, methods, and hopefully, final product. For technique, though, I’ll head to the library for an old-fashion book with lots of big, bright pictures! I find it in nature by going for walks and looking at plants. I find inspiration everywhere! I find more inspiration than I have time for usually! Pinterest has a wealth of ideas for quilts and crafts. From the pictures my family takes so I can scrapbook for them. I get my ideas from the internet and nature. I also see something from someone else and put my own twist on it. Or I just play around and create. My creative inspirations are fueled by my own imaginations. ; with my eyes drawn to different color palates and textures I see in nature, fabrics and textiles. I usually carry a pad and pen(cil) to jot down or rough sketch ideas when my phone camera is not appropriate for use as I tour through cities and towns with historic and eclectic architecture and shops, and do unscrupulous people watching. Pinterest always, Instagram and Blogs from some of my favorite crafter/bloggers that I follow. I love all of the ideas I get from Pinterest and YouTube. My inspiration comes from friends and family. I paint gourds, and some one is always asking if I’ve ever tried to paint this or that. Well, the wheels start turning and I’m off in my studio trying too figure out a way to make it work. Nobody has stumped me yet! Inspiration is everywhere. On-line, in garden, at the craft stores, in your closet. just look around for the wonderful color combinations in nature. There are so many things that inspire me. Publications, media, nature, shopping, friends. Too much and so little time. My favorite source of inspiration is by the media. Beads “tell” me what they should turn into, and what other beads or media should be paired with them. Looking through my many, many saved issues of Cloth Paper Scissors! I always craft with a particular person or cause in mind, so they are the inspiration for whatever I do. Sometimes things just seem to drop into your life at the right time, too. One of my neighbors was getting rid of a white mailbox that is in really good condition. My niece and I can paint it in Easter colors and themes, then it becomes a personalized Easter “basket” for her. Garden centers, retail stores, people watching…usually I look at something, and an idea pops into my head. I find inspiration outdoors. The colors and hues of plant life, ocean, wildlife , Sky, just get me fired up! Sometimes just browsing the craft aisles also provide inspiration. I have recently decided to try my hand at simple jewelry making as well as simple chimes using sea glass and shells I find here in Hawaii so this offering is just fantastic! Mahalo! 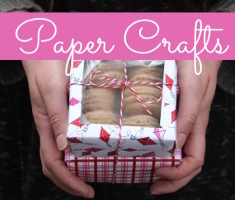 My favorite place to find craft inspiration is from blog hops for cards & jewelry sites for jewelry. Then of course God puts ideas in my head & I go with that. 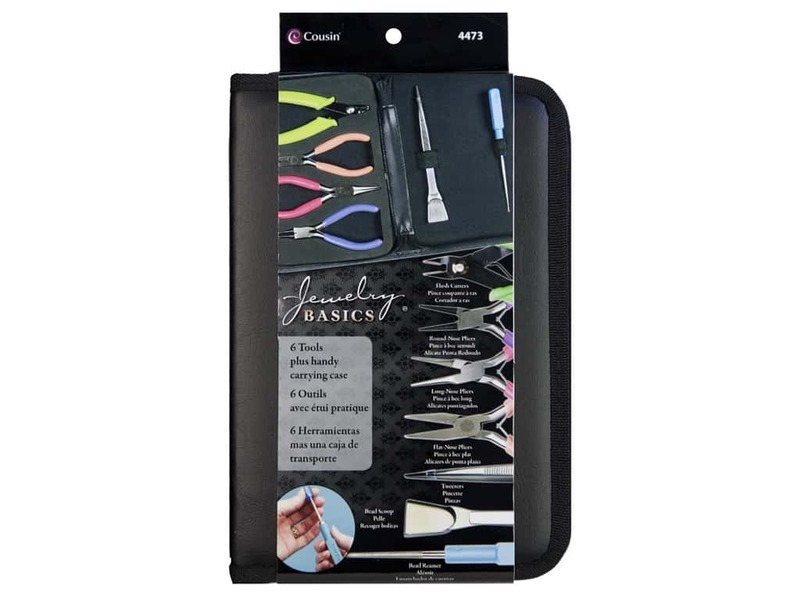 Sometimes I will just see something & I will think “I can make that or make a card like that.” I love to make jewelry & boy, could I use some of these tools! I would love to win this & thank you for giving us the chance to win something! Think Crafts! and also Instagram, numerous blogs I follow, and art museums. I look for inspiration on different craft sites, Pinterest, Facebook and YouTube. 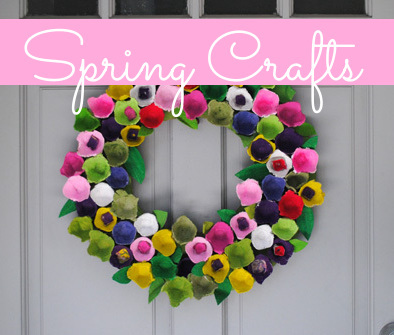 I love learning new things so I am always on the look out for interesting crafts to try. Nature is my favorite place to find crafty inspiration! There are so many shades of each color, unique shapes and scenes that just call out to be recreated with my own interpretation! Who could resist trying to make Natures. Scenery even more wonderful? Not me! My backyard is acres of trees so I have nature for inspiration. Just wear a lot of bug spray. Decorating my brand new house!! I love taking the antiques from our farm and making “memory stations” of family members. I find pieces and make pieces that when arranged in a group make that person come to mind. Kind of like looking at a photo of someone except I use items that were part of their lives, so if you knew that person, seeing a group of items brings that special someone to mind!! Since I live on a family homesteaded farm, there are tons of items from family members all around!! In my head. I have a fashion merchandising degree and like with fashion, I love mixing colors, patterns and textures. I try to always think outside the box. I often find inspiration on pinterest. My Facebook crafting groups! They are wonderful! I enjoy going to Craft Shows and taking classes. best ideas i get are from u-tube. you are my fae source. My favorite place to find inspiration is on the company blogs. Pinterest or vintage magazines. Sometimes from vintage objects. I find inspiration online in blogs and Pinterest. I also find inspiration from wandering in secondhand stores.